​The purpose of the Worcester, Vermont Historical Society is to conserve the unique story of Worcester's past through education, preservation, restoration, and interpretation for the benefit of our posterity. The Society's resources, collections, and archives will be used to communicate the historical and cultural legacy of Worcester, to maintain and foster our community heritage. Please join us at the Worcester Town Hall for the 13th annual "Love Light Tree" ceremony. The memory tree donated by Tom Lang many years ago will be beautifully lit. Each light will have a special meaning for a donation of $5.00 per name. Please fill out the attached form and return it with your check to: Worcester Historical Society. Please join us for this ceremony and music by Julia Hewitt. For more information, contact Judy Knapp 223-8635 or Audrey Richardson 223-5985. ​The Cow That Tried to Swallow a Potato - that’s the history of Worcester, Vermont. Life happened, and often it was quirky and interesting. 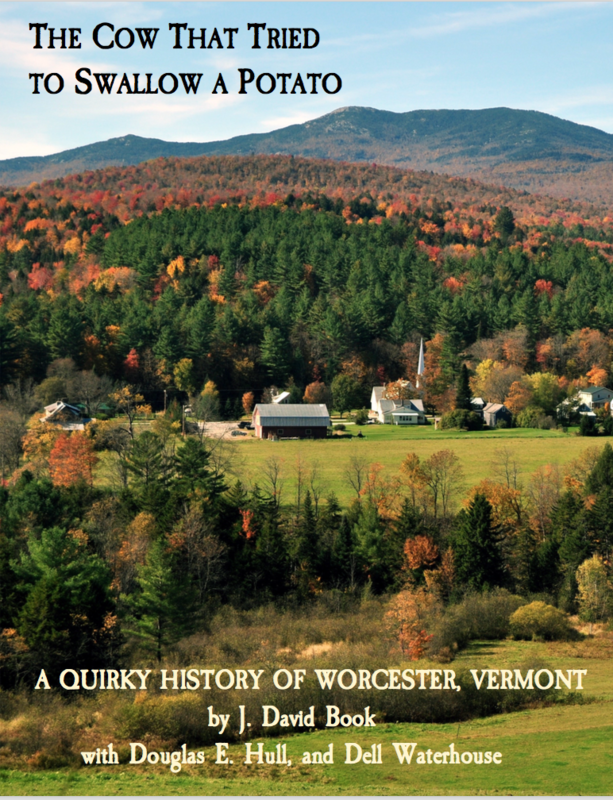 No big battles, no national movements, no spectacular event - just the everyday lives of hard-working Vermonters trying to get by, and from time to time, producing some noteworthy and unconventional history. "The Cow that Tried to Swallow a Potato: A Quirky History of Worcester, Vermont" may be ordered by sending a check for twenty-five dollars to the Worcester Historical Society, P.O. Box 329, Worcester, Vermont 05682. Makes a great gift and a genealogist' goldmine, these 360 pages of memories, pictures and historical information is not like any other local history you have ever read. 10:00 am and Noon. Check out new exhibits and do some family research.